These shadows are smooth. They blend really well and pick up on the brush easily. Undressed is a little chalky. The formula is so smooth and soft in the pan that it picks up a little chunky, just on this shade. As long as you tap off the excess you should be fine though and it applies smoothly. 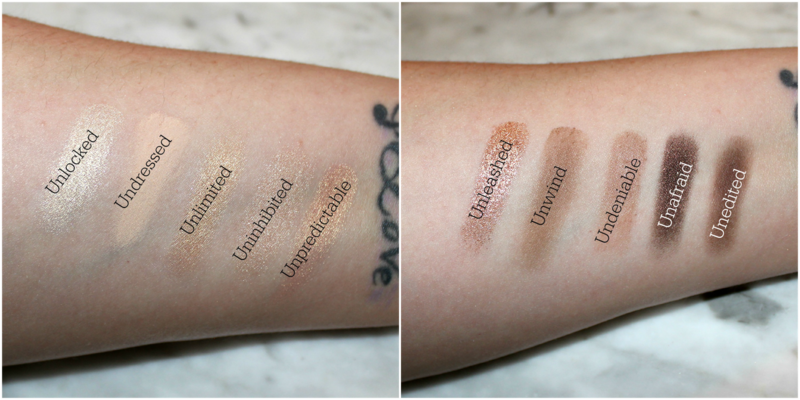 The other three matte shaded Unwind, Undeniable and Unedited are smooth and non chalky. All the metallics are super pigmented and soft. They have some of the highest pigmentation I have ever used. Because they are so metallic I recommend using a flat shadow brush to really press on the pigments. They almost apply like a loose pigment rather than a pressed one. There are only two of the metallic/shimmer shades that pick up a little, almost chalky, but no quite; Uninhibited and Unpredictable. They just aren't as velvet-y as the others. But still plenty usable and pretty, just a little more fuss. Unafraid feels matte but has shimmer. A very unique texture. When spending $42 on a palette I would kind of like it to not be made of cardboard. Is that just me? Of course I knew this upon purchase, but what are ya gonna do. I feel that nicer packaging adds to the users experience. I know that all the Lorac palettes come like this I just think that for the price and only containing 10 shades it could be a bit more luxurious. Also due to how soft the shadows are the packaging makes me a little hesitant for travel. In the end this is a gorgeous palette. 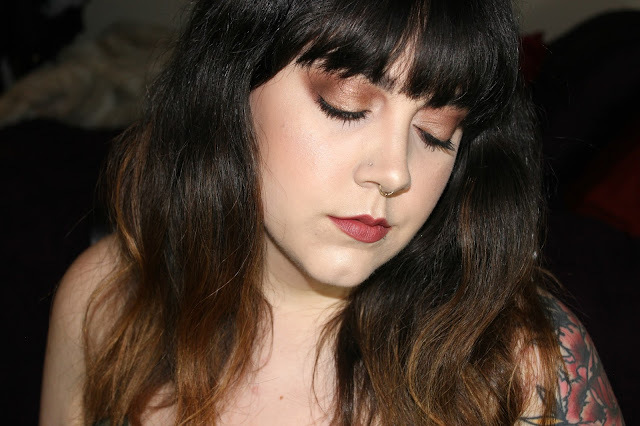 I don't think that it is super versatile in terms of tones or different look options, but I think it serves it's purpose. Don't get me wrong, you could do a smokey eye and more neutral look and glam bridal even. It just doesn't have that same wiggle room that other palettes even from the same line do like the Pro and Pro2. I can tell that without owning either of those palettes. This is a focused color range of ten shades that I know I'll get use out of it. The metalics can be used wet for a liquid metal look. The palette also comes with Lorac's eyeshadow primer. It works really well and has very artist practical packaging; i.e. no wand. It kept my shadow from creasing, though it did not do any real color correcting or nuding out. I am really impressed with it up front, so we'll have to see how things go since I have liked primers to start and after longer use they stop being effective. tell me if you'd like to see me do a look with the palette so you can see it in action.